Crystal Pools LLC takes the time and effort to Plan your project, small or large the details matter to achieve the desired end result. 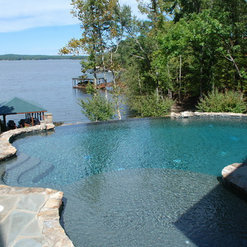 Crystal Pools LLC starts at the end, we design your project all the way to the end, we know the costs, the materials and the completed look of the project before we every start the Blueprint process. 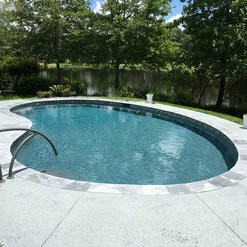 Crystal Pools LLC has been doing business since 1973, over 40 Years of Design to Build projects to incorporate the swimming pool and spa to the fireplace and landscaping. 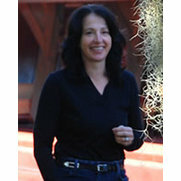 Alison Felschow is the President of Crystal Pools LLC and has a degree in design from the Atlanta Institute of ART. 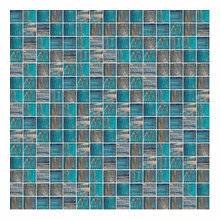 Alison brings a special love of Art to water shaping to enhance your home's architecture and fulfill the Family dream of owning a backyard environment. Crystal Pools LLC takes great strides in maintaining a trained staff of Service technicians and Maintenance Technicians to ensure that our clients are properly cared for and their investment protected. 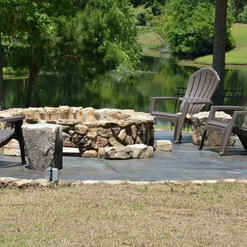 Crystal Pools LLC brings a unique perspective to our 40 year old installs by offering remodeling designs to build projects keeping the backyard functional and relaxing as the Family grows and expands. Every client is unique and every project is special. 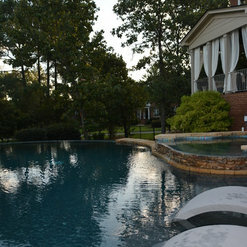 Crystal Pools LLC takes the worries out of the decision to own a pool, our over 40 years of expertise all over the State of South Carolina, upstate and Low County allows us to handle the technical details so our clients have a pleasant experience from the beginning of the design journey to the years of enjoyment and memories to hold dear to our hearts. 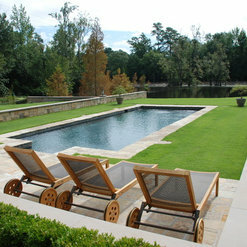 Carecraft, Anthony Gold Awarded Best Swimming Pool Design and Build for 15 straight years running, Frank Lloyd Wright commissioned to build pool in Yemassee South Carolina Auldbrass Plantation, renovation of State house swimming pool in SC Governor's Mansion. 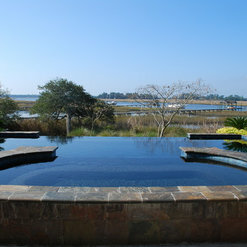 We used Crystal Pools to conduct a pre-purchase inspection of the pool in a home we are buying. They were very thorough and took the time to explain the pool operations (first time pool owners) and detail all of the repairs discovered during the inspection including a breakdown of the costs. Crystal Pools is an outstanding company. Paul came to service my pool/spa and took his time to provide me with a very detailed indoctrination and overview of my pool system. He identified the problem with my spa immediately upon arriving and fixed the problem. I will be using Crystal Pools again. Outstanding in every way. Great design, communication, on schedule and first rate service in every respect. The pool is beautiful and the quality of the construction is evident. Being first time pool owners (and to be honest not knowing much about pools---cleaning it), Crystal Pools does an exceptional job every week! There was one particular cleaning that I was just blown away. We recently got solar panels on our roof to heat up the pool...little tiny pieces from the shingles were getting loose and falling into the pool which then started staining the bottom of the pool and around it...at first we didn't know what was turning the pool green because our pool never got that color with the weekly cleaning. Our pool was so green and really gross looking almost like it was attacked by an algae virus that was spreading like wild flowers. Then comes Wednesday our pool cleaning day...we were busy out and about almost the whole day, and I felt bad I didn't warn them of the pool beforehand...I was so worried they wouldn't be able to clean it and it'll take forever to finally get it back to the blue crisp water...but we came home and WOW...just WOW....it looked like a brand new pool!!! I seriously couldn't believe it! Not sure what they did but it was amazingly clean!! Totally made my day :). Also if we ever had something wrong with the pool they always have been able to fix it...great work! I would highly recommend Crystal Pools! 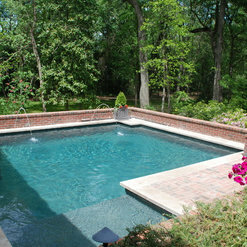 Crystal Pools was very professional from the start of this project to the finish. They completely resurfaced my gunite pool and replaced the tile and redid a small part of the coping. This job was a big project. Their workmen worked hard and were respectful of the rest of my yard which I appreciated. 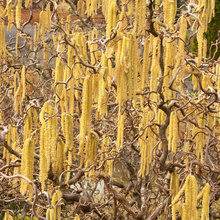 The finished job met all of my expectations and I'm looking forward to warm weather so I can enjoy their hard work. Crystal Pools LLC remodeled our 24 year-old pool and decking that needed an update and was leaking. 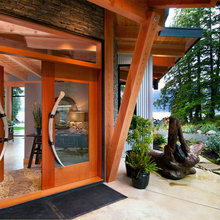 We are very pleased with the finished result which is easier to maintain and gorgeous. We enjoyed working with Ali and crew of Paul, David, Boo and Kerry. Ali had great ideas for the pool, decking, and the landscaping. The estimate was very detailed compared to other estimates we received. She listened to our wants and needs and we were able to include additions along the way. Ali continuously monitored the work throughout the process and changes were made when necessary. She let us know what to expect and when a major activity would take place. She and Kerry always responded to calls, emails and texts. The crew were able to make contact with her if a problem or question needed a quick response. The remodel took as long as expected and was ready by swimming season. Because of the inconsistent estimates it was difficult to compare the amount we paid for the remodel. We feel the remodel is worth the amount we paid. Ali is proud of her company and it shows in her work ethic and customer service. 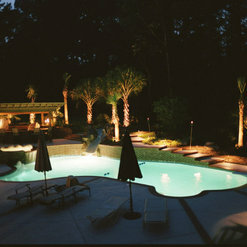 The new pool, decking, landscaping beds, and paver sidewalks create our own tropical oasis in Columbia. Thank you Crystal Pools! It was a joy working with the professionals at Crystal Pools. John worked with my vision of what I wanted to do and directed me to the products to achieve my dream. My back yard is a tropical paradise! Good outfit. Wish I had more thought and critical input on the design. The work is topnotch. I like all of the people I dealt with. 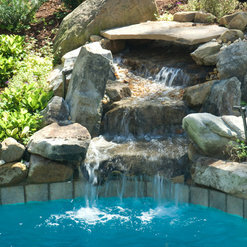 My husband and I hired Crystal Pools to design and build our backyard pool and spa with waterfall. The owner of Crystal Pools worked with us step by step on the design of our pool and spa. It is absolutely gorgeous!!! 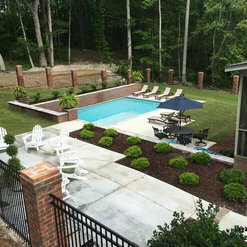 We have many guests rave about our pool and we could not happier with the final product! 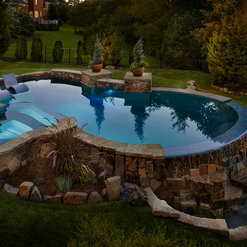 I would highly recommend Crystal Pools if you want a spectacular, high end swimming pool and spa! Commented: Help with pizza oven additionIt is always important to think about flow. Are you right or left handed, which way will you put in or remove the pizza. Recommend that the oven be off to one side.